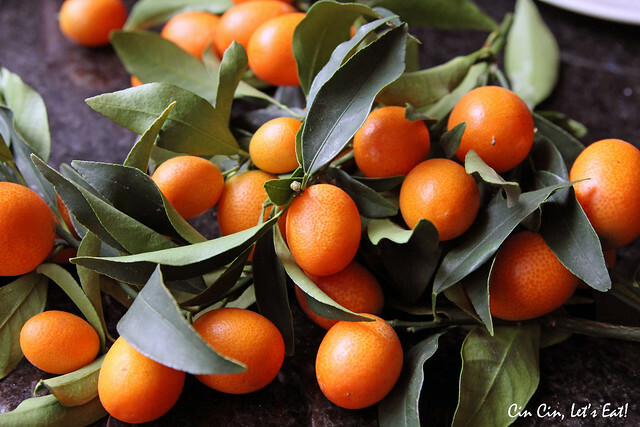 Kumquat in Honey [recipe] – Cin Cin, Let's Eat! I was gifted these branches of these beauty aka kumquats from a family friend. They are perfect eaten plain although the skin is usually sweeter than the flesh so a lot of time I only like to snack on the kumquat peels. They are also perfect as salad additions and cheese platter accompaniments. We ate quite a few and I decided to can the rest by using this recipe. I grew up drinking honeyed kumquat tea so that’s mostly what I’ve been using this sweet preserve for. Just a spoonful of syrup and a few mashed up preserved kumquats can really elevate a cup of green or Oolong tea. These honeyed kumquat and syrup are also great in salad dressing, on top of yogurt and ice cream, and as glaze for ham or pork roast. Take the extra 5 minutes to remove all the seeds. Bring a canning kettle full of water to a boil. Meanwhile, cut off the stems from the kumquats. 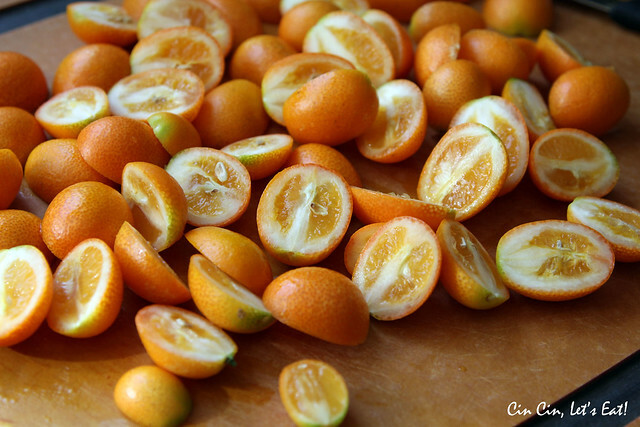 Either poke a small hole or two in each kumquat with a skewer or toothpick for pretty whole fruits or cut the kumquats in half and remove any seeds for less elegant halves with seeds already removed. In a medium saucepan, bring the water, honey, and sugar just to a boil. 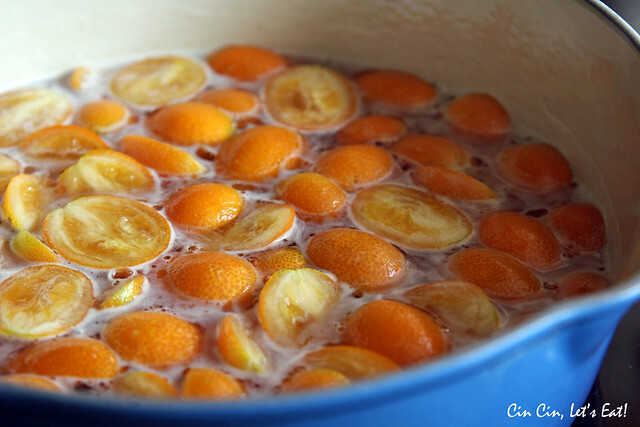 Add the kumquats and bring the mixture back just to a boil. Adjust the heat to maintain a steady simmer and cook, skimming off any foam that develops, until the kumquats are tender, about 25 minutes for halves and 40 minutes for whole kumquats. 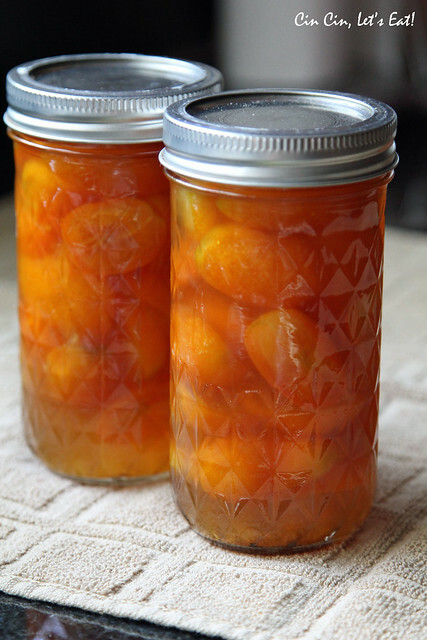 Transfer the hot kumquats into the sterile half-pint or pint jars and screw on the lids. Hot-water process the jars in the canning kettle for 10 minutes. Remove the jars and let them cool before storing them in a cool, dark place for up to six months. Once a jar is opened, keep it in the refrigerator. (For the ones that didn’t seal, I just kept them in the fridge since we go through them pretty fast.